Haven’t check out my last Boxy Charm post? Click here to read all about what I got in my July box, and my opinions on all the products! Opening up the mail and seeing my Boxy Charm box there is seriously like Christmas morning. I get giddy until I can open my box and look through all the goodies! 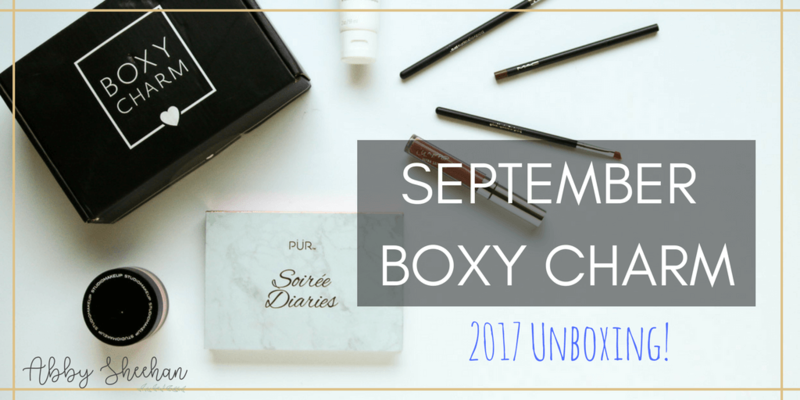 Boxy Charm is a monthly makeup subscription box that sends you 5-6 FULL SIZED products every month for only $21! 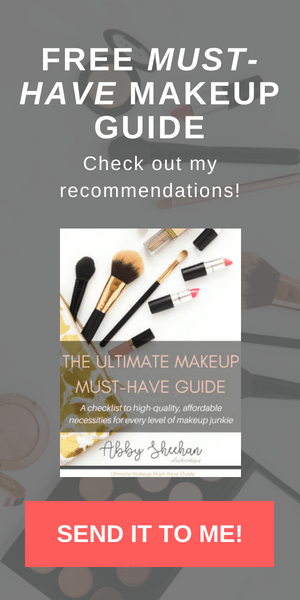 As were are going through these products, you will see that the overall value is way over what you are paying, and the products are almost always amazing! If you are interested, click here to sign up! You can pay each month at a time, or get a deal if you sign up for 3-month or 6-month packages. 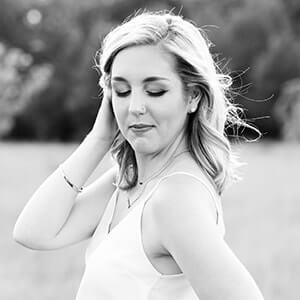 I truly believe this is the best makeup subscription box on the market, so you won’t want to miss out on this one! Now let’s just dive into what we get. This was definitely the item I was most excited for in the box! Nothing beats getting a new, full-sized eyeshadow palette to play around with! If you do any “keeping up” with the Kardashian family…like I do…(they’re my guilty pleasure, ok? ), then you know that Kim Kardashian has been putting out videos with YouTube makeup artists, to promote her new makeup line. She did one video with Youtuber Nikki Tutotrials and they used this palette! I know this is weird, but that just made me 10 times more excited to try these shadows. After playing around with this product a few times, I am definitely obsessed! I loooooooove matte highlight shades, and those are sometimes hard to find, but I love that I have plenty of options in the top row of this guy! 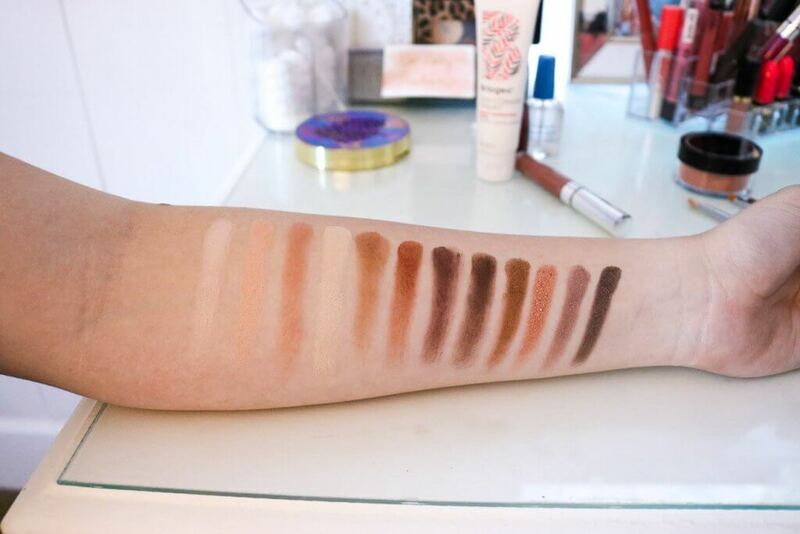 All of the shadows are highly pigmented, silky smooth, and easy to apply and blend! 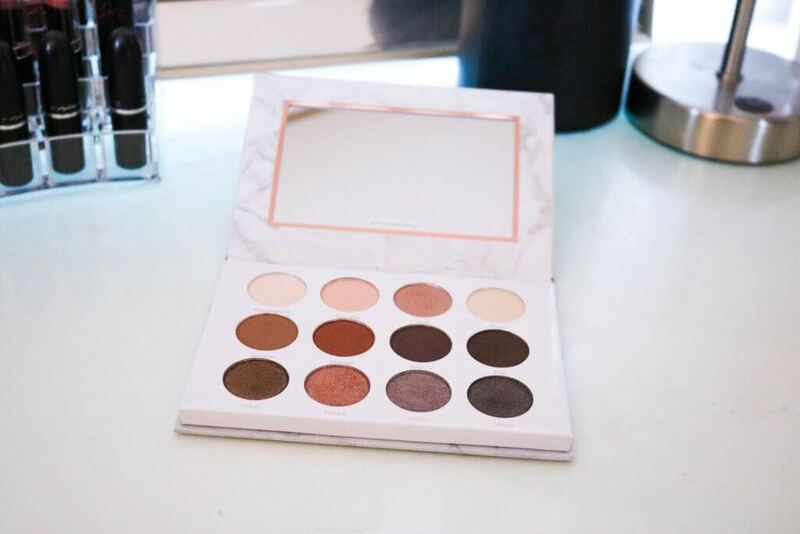 You can achieve so many basic, or intricate eye looks with this one palette. Simply dip into the bottom row of foiled shimmers to vamp up your look! When I heard we were getting a MAC brow pencil in our boxes I was excited but also hesitant. I was concerned about getting the right color for me – and not convinced anything can beat out my Anastasia Brow Definer (that I talk about in this post)! The color on my pencil is slightly too dark, but I can make it work if I apply the pencil very lightly. The pencil is extremely small and thin, which I love. 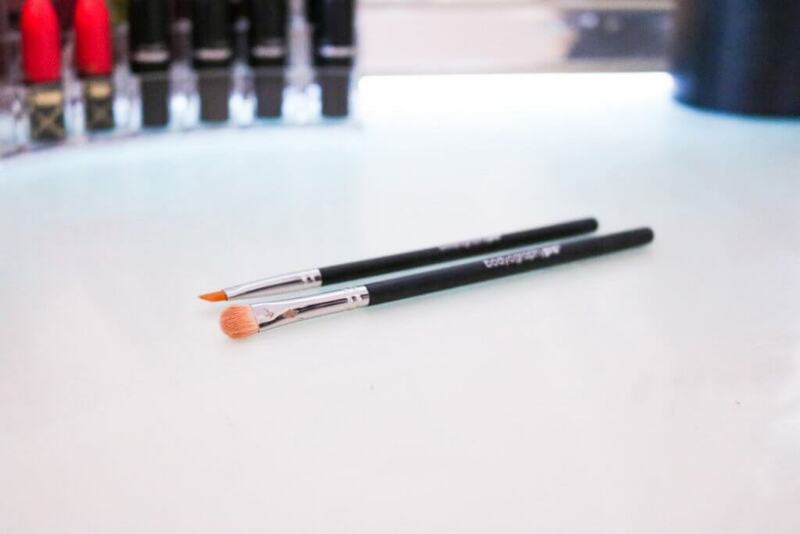 This allows me to apply very precise, short strokes to fill in my lashes, and overall, I can achieve a very natural, beautiful look! One thing I kind of dislike about this product is the way the pencil rolls up. 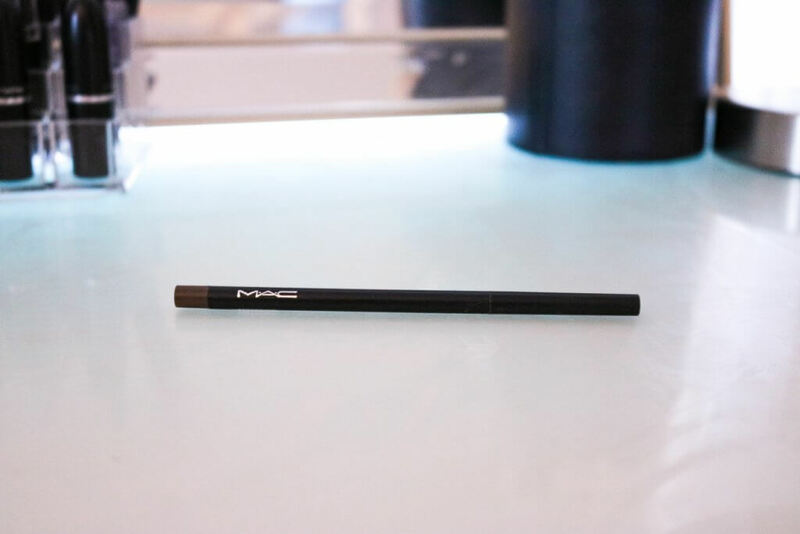 When you turn the tube, the product slowly comes up more, as you need it (like most brow and pencil products). However, something seems to be weird about the way this rolls up? I’m not quite sure how to describe it, but it is not a smooth roll, and I find myself struggling to get more product up and out of the tube. The next thing I HIGHLY dislike about this product is that it doesn’t come with a spoolie! Seriously, I want to know who designs an eyebrow pencil without a spoolie! I seriously cannot do my brows without one, since I brush them out before, during and after filling them in! Whenever I use this pencil, I have to get the spoolie out from my Anastasia Brow Definer and use it in conjunction with this MAC brow pencil. I just do not enjoy having to supplement this product with something else, and go to the extra step of getting out a spoolie. Because of this, I am sad to say, it just did not beat out my ride or die Brow Definer. This is actually the only “loose” blush I own, and probably the last. 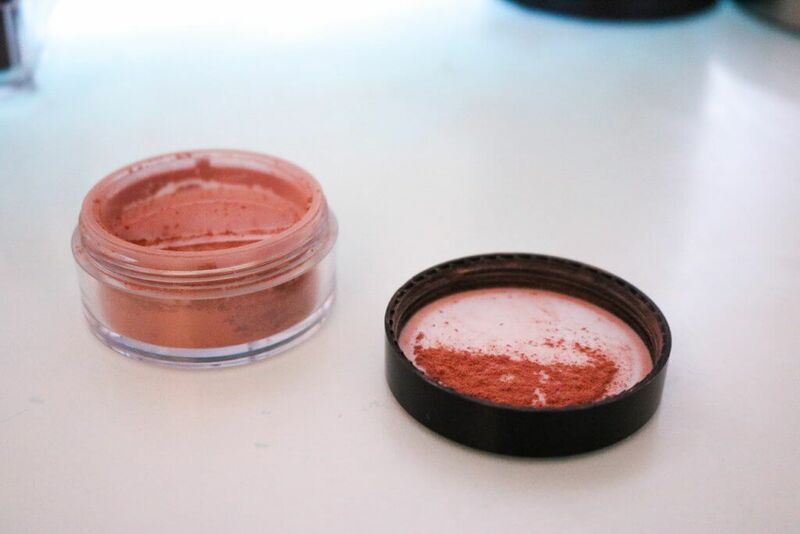 There is a reason most blushes come in a pressed compact if I am being honest. With this product, you have to open the cap, twist the lid, and then tap out a small amount of blush through the small holes, and into the lid, in order to get it on your brush. When you tap your brush in the product, you must be very careful to not get too much, and be sure to tap off the excess. With any loose powder product, it is easy to get too much product, and it can get very messy very quickly. This blush is a really pretty light pink color and has some beautiful subtle shimmer that just barely shows up on the cheeks. I actually love the finish and the way it is slightly luminescent. It looks very beautiful and glowy! However, like I said, I genuinely do not know why I would choose to use a loose blush every day over any of my other great blushes that come in a normal compact. 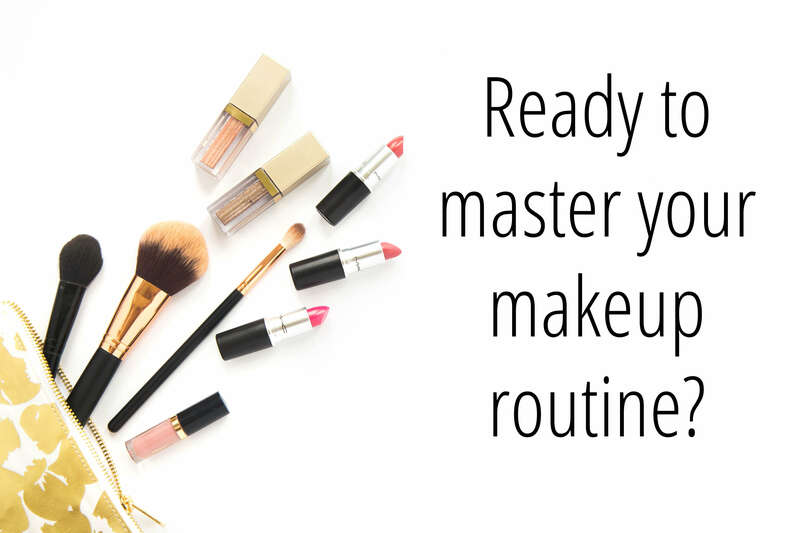 To me, it is just an extra step that I don’t want to take when applying my makeup, and just too messy to work with to really be worth it. I always get excited to get hair products in my Boxy Charm, because I think it is something a little fun and different than the usual makeup I am expecting! I had heard a beauty blogger and one of my close friends rave about a different hair mask product from this line, so I was extra pumped to try this hair mask! The instructions say to apply this mask all over your hair, from root to tip, after shampooing. Then, leave on for ten minutes before rinsing out. They give you the extra idea of covering your hair with a shower cap to let the product soak on for even longer, but I have not tried that method yet. You are supposed to use this product once a week, but I will probably be using this product less than that since I really only wash my hair 1-2 times a week! (Gross, I know, but I promise you it’s the best thing I have ever done for my hair). I really want to make this product last as long as I can, so I will probably be using it every 3-4 washes. 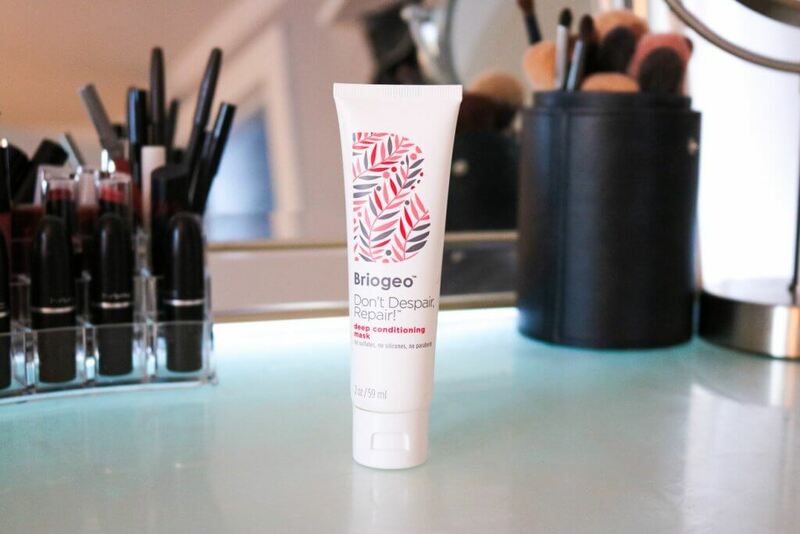 I have to say, I could not believe how soft my hair was after using this deep conditioner! I could really feel it after I let it all dry and straightened my hair the next day. My hair felt so silky and smooth, and super healthy! I could tell that my hair had been hydrated, and this is something my ultra-dry hair can always use. I will definitely be loving every last drop of this product! Okkkkkkkkkkkkkkk 20 bucks for two tiny eye brushes? I am very very glad I did not purchase these on my own. I feel that’s way too much to justify spending on two small brushes! But nevertheless, I am happy I got them in my box because I do love them! I believe different Boxy Charm boxes received different brushes, but the ones I received were a small, flat shader brush and a small, angled eyeliner brush. I was super excited especially for the flat shader brush because I always feel like I have a ton of fluffy blending brushes, and not as many brushes for packing on shadow! I love this one exactly for that! I haven’t tried the angled eyeliner brush yet since I normally use the brush that comes with my Maybelline Gel Liner (that I talk about in this post)! But, I am excited to try it out and have a backup on hand. Summary: Great brushes. Love ‘em. Wouldn’t pay $20. This is the second ColourPop Ultra Satin Lip I have gotten in a Boxy Charm, and I’m not complaining! 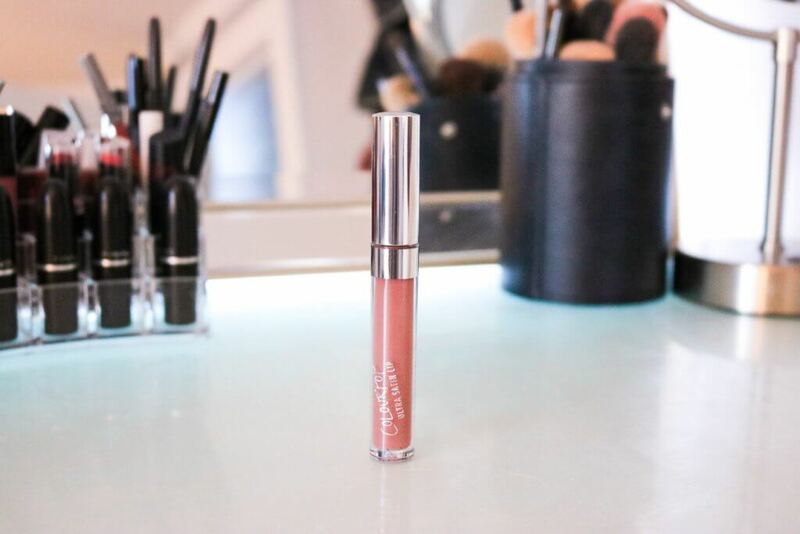 Ultra Satin Lips are my jaaaaaam. I love everything about them! The way they apply, the finish, the formula, is all on point. The color I got this month is “Strut” and I think it is perfect for fall. This color is a slight browny/purpley/nudey color (ummmm did that make any sense??) and I love it for this time of year! 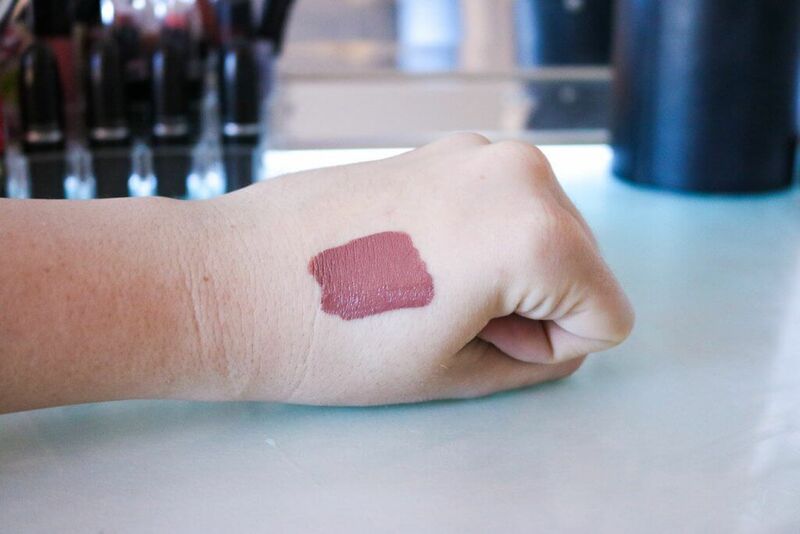 Ultra Satin Lips are highly pigmented (as you can probably see in my swatch picture), so less is more! They apply extremely smooth and dry down to a satin-matte finish. They are not heavy or sticky, so I don’t mind wearing them all day long! I can just never have enough of these beauties. Ok so I don’t know if you were doing the math or not, but this entire box is worth $133! And yes, you are remembering that correctly, I paid $21. 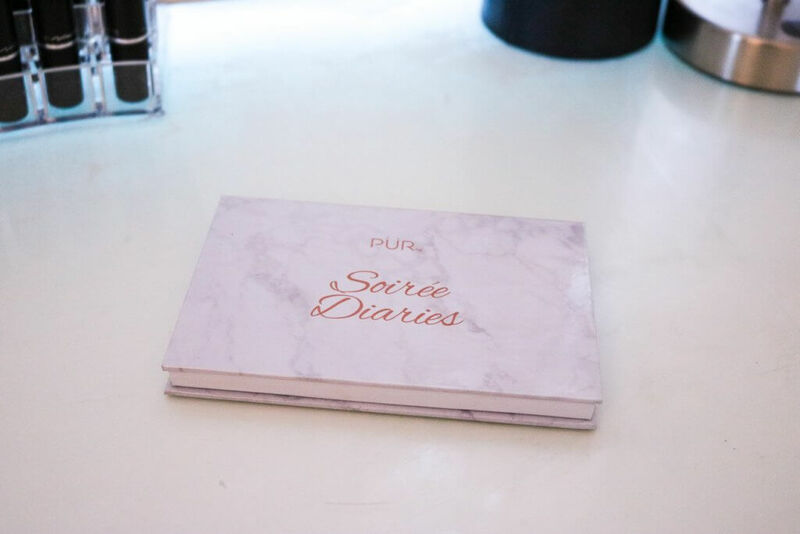 If you weren’t convinced before that you need this box in your life every month, click here to get signed up, and please let me know if you do! Remember, everyone is different, so what didn’t work for me might work great for you! If you are also a Boxy Charm lover, like myself, let me know what you thought of the box! Do you agree with my hits and misses? I would love to know! Want to save this post for later? Feel free to save this pin to your pinterest!